FATpick is an app that helps you learn guitar by playing your favorite songs. We're pleased to offer the following templates and reference charts as a service to the community. Feel free to download, print and use the following resources. Blank tablature diagrams for guitar, bass, ukulele, and banjo in several formats. Download and print to transcribe popular songs or your own music and exercises. 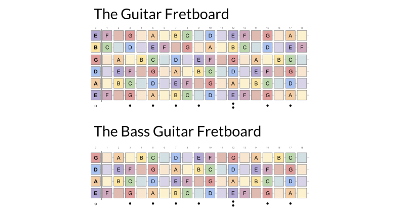 Colorful diagrams indicating the notes on the guitar fretboard, the bass guitar fretboard, or both fretboards on one page. Download and print for easy reference. 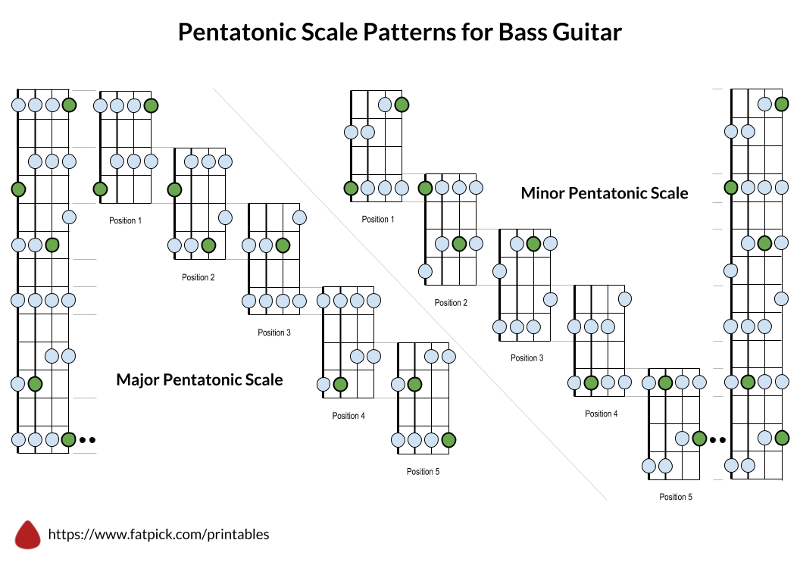 A printable reference or poster describing the major and minor pentatonic scale often used for improvisation and song-writing for solos, melodies and bass lines. Copyright © 2018 - 2019 FATpick LLC.